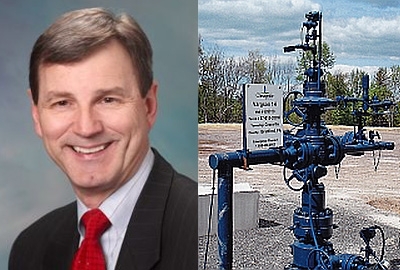 Jim Womack, a fracking proponent and dethroned oil and gas commissioner, appears likely to get his wish to return to that board. This morning, the House Rules Committee proposed a substitute for Senate Bill 416 that would change the requirements for the oil and gas commission to allow anyone who simply joins a conservation group — including environmental imposters — to serve on it. The new language would allow two commission seats to be reserved for “members” of a nongovernmental conservation interest. This is a small but significant change from the current language, which requires those seats to be held by “representatives” of those interests. Representatives of these groups are usually staff or board members, whose conservation bonafides are well-known. But becoming a member of a conservation group is as easy as paying annual dues; a fracking advocate such as Womack, for example, could cut a check to any of those groups and then qualify for an appointment. Last month, Womack tried to hold an illegal meeting of the oil and gas commission for the first time in 18 months. But John Nicholson, chief deputy of the NC Department of Environment, advised Womack that he was no longer on the commission, and thus had no authority to call a meeting. At the time, several commission members had not filled out their statements of economic interests, which the state board of ethics and elections must review before the members can serve.